Waldsamkeit (represented by Manuel Larbig) offers herb walks, nature discovery events and survival courses. In the following “participant” refers to all those who participate in the above named courses. In the event of a force majeure event, bad weather warning or the illness of the organiser/course leader the event will be cancelled – however the full cost of the course will be refunded to participants. The above also applies if the minimum number of participants for a course in not reached. There are no additional costs if a replacement participant is organised by yourself, or when a participant is waiting to take the place on the waiting list. Rebooking and cancellation shall take place in any event in writing and become legally binding only after my confirmation. Cancellation and rebooking is only valid when confirmed in writing and Waldsamkeit has confirmed receipt thereof. By accepting these terms and conditions the participant confirms that he/she has valid health insurance. In order for a course to take place, amongst other things. the condition for the minimum number of participants must be met. Waldsamkeit requires from the participants a robust body and mind. The participant is liable for the evaluation of their own physical and mental weaknesses and limitations. For those who are under age, the caregiver is liable. Based on the assessment of the course leader, the participant can be excluded from the event without any right to a refund, if the participant lacks the physical and physiological condition necessary to guarantee the sooth running of the event. The price stated is always applicable to one single participant. The course fee shall be transferred directly after receipt of the registration confirmation. The registration is binding only once the course fee registers in the Waldsamkeit bank account. In the case of group bookings, the bill recipient is responsible for the payment of the fees of all group members. Waldsamkeit, it´s course leaders, student employees and interns accept no liability for delays, other irregularities, as well as physical or psychological injury to participants during and subsequent to the course, in so far as these do not occur as a result of gross negligence. 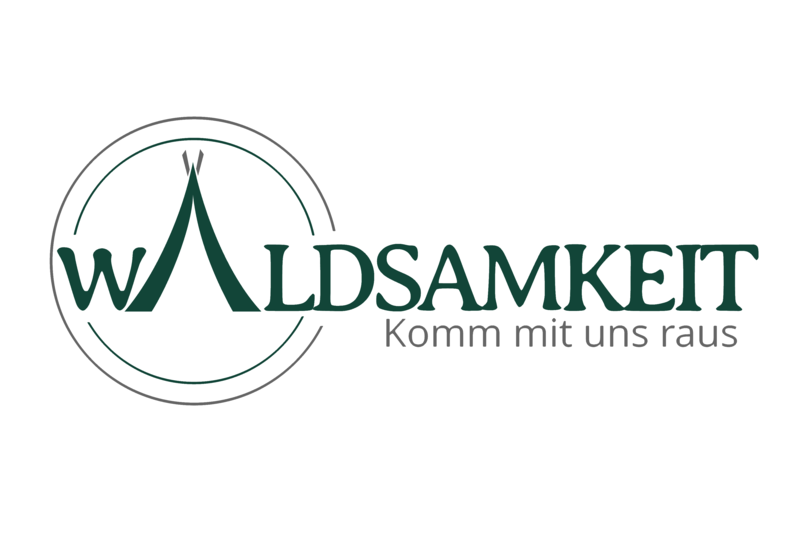 Waldsamkeit, it´s course leaders, student employees and interns accept no liability for the possessions or valuables of participants. To treat the tools and objects belonging to Waldsamkeit with care and caution, and to return them after the course, and in the case of damages to subsequently replace them. Before privately capturing voice or video recordings, participants shall first obtain verbal permission from any course participants who can be seen or heard in the media recording. The course leader is entitled to make spontaneous changes to the previously defined course programme, when he/she considers it necessary to obtain a better group dynamic, an increase in the educational outcome, or in consideration of a member of the group. Waldsamkeit, it´s course leaders, student employees and interns are entitled, in order to document the event, as well as for advertising purposes, to film and photograph participants during the event. The contract relating to the booking of an event with Waldsamkeit is valid, even without a signature, when the booking is made electronically via the booking system or email. The contract terminates at the end of the event.